Three miles north of Fort Worth’s business center, Niles City, a tiny strip of land spreading over a little more than one-half square mile and boasting a population of 508, incorporated in 1911. 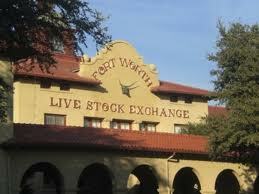 Within its bounds sat the Fort Worth Stock Yards, Swift & Company, Armour & Company, two grain elevators, and a cotton-oil company, which placed the city’s property value at $12 million. Six railroads came through the town with the Belt Railway owning and operating a roundhouse. Niles City had a town council and enjoyed complete utility service, good roads, and fine schools. 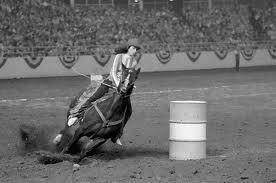 The town was named for Louville Veranus Niles, a successful Boston businessman who reorganized the Fort Worth Packing Company in 1899 and was instrumental in convincing Armour and Swift to locate in Niles City in 1902.
the horse and mule barns, and the Cowtown Coliseum, where the Fat Stock Show offered the first indoor rodeo in the United States. Many big name entertainers performed at the Coliseum including Enrico Caruso who drew a crowd of about 8,000 in 1920. The Swift and Armour packing plants added significantly to the economy, employing about 4,000 workers from Fort Worth and the surrounding area. All of the wealth packed into such a small piece of real estate proved too tempting for Niles City’s neighbors. In 1921 the Texas legislature passed a bill allowing a city of more than 50,000 to incorporate adjacent territory that did not have a population greater than 2,000. To protect itself from annexation, Niles City quickly took in another square mile of extraterritorial industries including the Gulf Oil Company refinery and its pipeline plant, and two school districts attended by the children of Niles City. The move increased the town’s population to about 2,500 and its taxable property to $30 million. The legislature passed a second bill raising the population needed to halt annexation to 5,000. In July 1922 Fort Worth held a special election in which voters passed amendments to the city charter allowing Fort Worth to incorporate Niles City, which occurred on August 1, 1923. 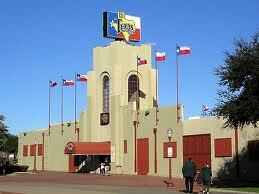 Billy Bob’s “World’s Largest Honky Tonk” at 127,000 sq. ft.